Today only Home Depot is offering up to 50% off Select Milwaukee Lithium-Ion Power Tools! Shipping is FREE on this offer. Deals at only $229! 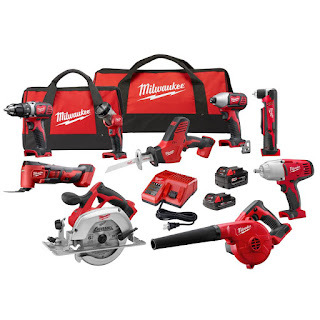 Check out this Milwaukee M18 18-Volt Lithium-Ion Cordless Combo Kit (9-Tool) now only $499 (Reg. $999)!